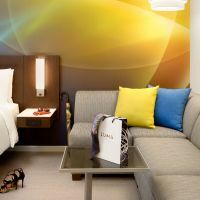 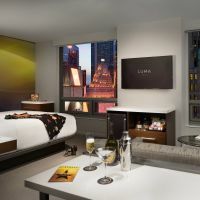 Both contemporary and convenient, New York City hotel rooms at LUMA Hotel Times Square surpass the New York City hotel room stereotypes. 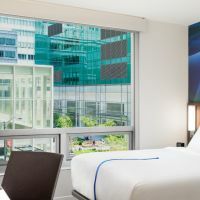 Natural light filters through 7'-by-7' windows, soft uplighting showcases dramatic art, and complimentary WiFi and Nespresso coffee cover the essentials of any productive stay. 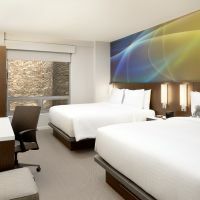 ADA accessible accommodations are available.